He cited failures to meet ballot counting deadlines during last year’s contentious midterm election. WEST PALM BEACH — Citing failures to meet ballot counting deadlines during last year's contentious midterm election, Gov. 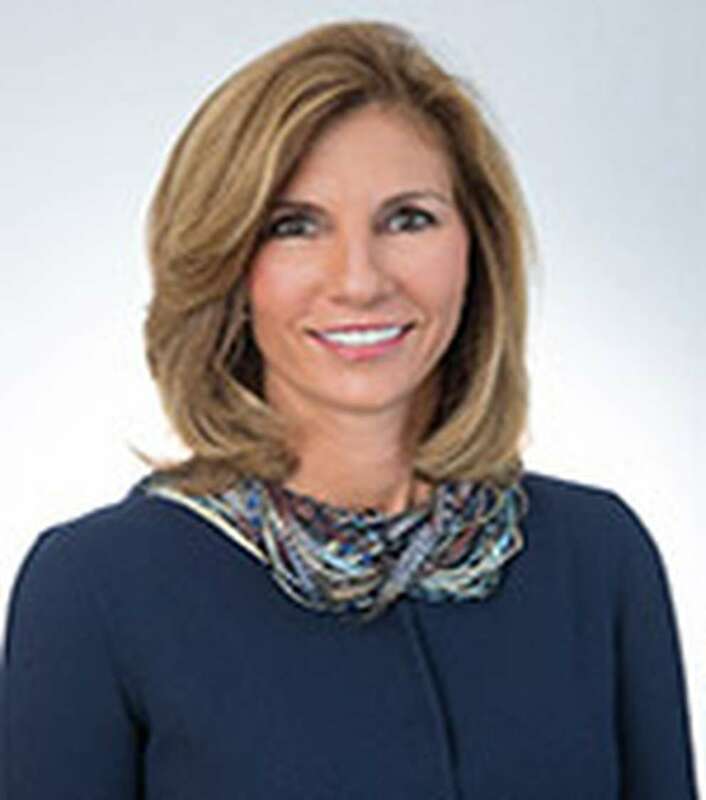 Ron DeSantis suspended Palm Beach County Supervisor of Elections Susan Bucher Friday afternoon and named Republican lawyer Wendy Link as her replacement to "right the ship" — though he said Link would not seek the office in the next election and only fill the post for two years. Bucher is the second elections official to lose her job over the November 2018 recounts. Former Broward elections chief Brenda Snipes announced she was resigning only to be suspended by former Gov. Rick Scott in late November. Link sits on the state university system's board of governors and is also a board member of the Economic Council of Palm Beach County. 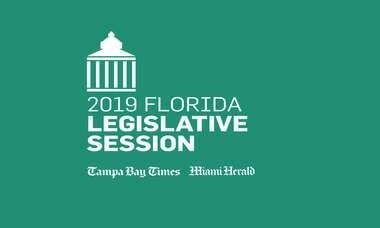 Bucher, a Democrat and former member of the Florida House, is expected to contest her removal before the Florida Senate, which reviews executive suspensions. The county "demonstrated on a national stage they simply could not comply with the laws of the state," DeSantis said Friday outside the old courthouse in West Palm Beach, as some protesters booed in the background. Bucher "could not discharge the duty that she was supposed to discharge." In an unexpected legal move, the governor added that he was belatedly accepting Snipes' previously submitted resignation letter to stop a lawsuit between her and the state, superseding Scott's suspension order. DeSantis also named Chris Anderson, a U.S. military veteran who served in Afghanistan currently working as an investigator in Seminole County, to replace new Secretary of State Mike Ertel as elections chief there. "Today what we're going to bring here to Florida is a sense of calm," Ertel said. He criticized poor elections performance that had led to voters "not sure of what's going to happen next, what issue is going to befall us next." 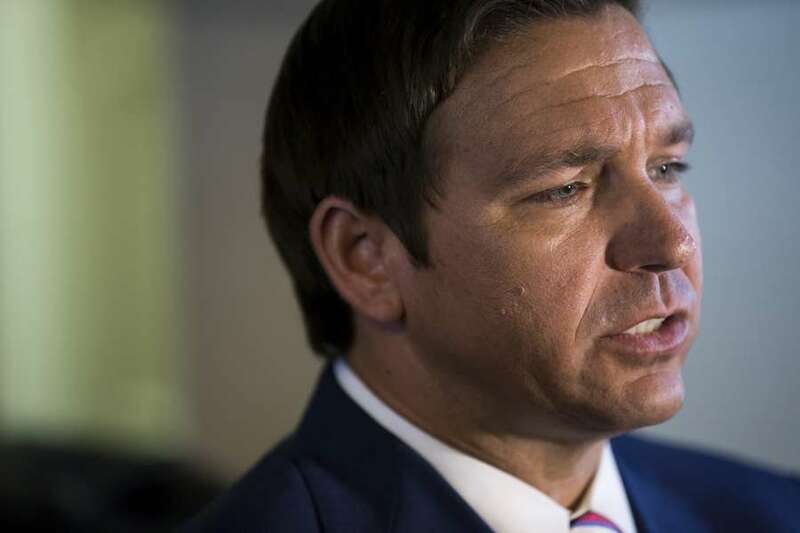 In appointing Link and resolving Snipes' situation, DeSantis cast voting issues in South Florida as an exception to the rest of Florida's 67 counties: "The problems that you saw in Broward and Palm Beach unfairly tarnished the image of the state." Palm Beach's delay in completing ballot counting after the recounts was particularly egregious, he added. He said the county had issues with determining voter intent, failing to meet multiple recount deadlines and failing to officially complete the recounts until 50 days after Election Day. "An election that happened a week after Halloween and you ended up not having the recount done until after Christmas," he said. "Palm Beach County stands alone on that level of ineptitude." Bucher's removal means the Senate will be tasked with reviewing both her suspension and that of former Broward Sheriff Scott Israel in the coming weeks. Katie Betta, spokeswoman for Senate President Bill Galvano, R-Bradenton, directed a reporter to his past statement on Israel's suspension: "Since we are tasked by Florida's Constitution to sit in judgment of the merits of a suspension, Senators should refrain from speaking publicly about the merits or substance of any executive suspension." A half-dozen supporters for Bucher, some with the local chapter of the American Civil Liberties Union, criticized DeSantis' suspension as a political move — Bucher and Snipes are Democrats. As the governor, a Republican, announced his decision, they shouted and booed during his remarks. "We didn't anticipate the election being this close," said Bucher supporter Ramona Barbagallo, 57, who carried a sign reading "Bull!" behind the television cameras filming DeSantis' announcement. She said Bucher's decision not to upgrade voting equipment before the election was to be "fiscally prudent. She did the best thing she knew." Bucher was at the helm of the capsizing ship that just couldn't seem to bail fast enough, with machines short-circuiting, outdated equipment that could only count one race at a time and general chaos ensuing. Throughout the recount drama, fingers were pointed in every direction. Bucher blamed machines overheating which she said caused the vote count to start over after 175,000 had been tabulated. The company that serviced those machines, Dominion Voting, said their information indicated it was an employee error. The state certified Palm Beach's antiquated machines in 2015, approving them for use in future years. (Recertification is not required each year.) The county had set aside $11 million to buy new equipment, but Bucher decided not to purchase the new equipment, citing concerns that they wouldn't comply with state law to accommodate people with disabilities. After the recounts began, several state officials — Scott among them — pointed figures at Bucher and Snipes for the delays in the recounts and confusion over ballot tabulation, referencing the fact that Miami-Dade, the state's most populous county, was able to comply with all elections deadlines. Scott, fighting for the sliver of a lead he had in the U. S. Senate race against incumbent Democrat Bill Nelson, also held a press conference two days after the election accusing "unethical liberals" of trying to "steal this election" and sued Snipes and Bucher as a candidate over how the recounts were being conducted. Snipes later submitted her resignation, effective Jan. 4, after the recounts concluded. But Scott suspended her in late November, effective immediately, prompting Snipes to take back her resignation and sue for her position back. A federal court judge ruled on the case earlier this month partially in Snipes' favor, saying she is entitled to some due process from the state even under DeSantis' administration. According to DeSantis' executive order belatedly accepting Snipes' resignation letter, his actions supersede Scott's order suspending her. The governor's office said after Friday's announcements that there was no plan to remove Peter Antonacci, who Scott had appointed to replace Snipes. 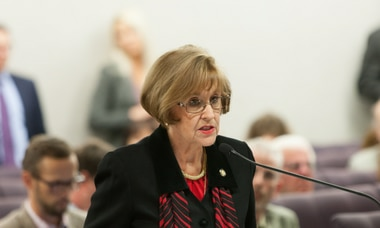 In brief comments Friday, Link said she was committed to "open, fair and accurate elections for the citizens of our county" and that the county's voting equipment would be replaced. "I'm going to ensure that Palm Beach County is well-prepared for every election, that everyone in our county has the assurance and sense of security their vote will count," she said. U.S. Rep. Matt Gaetz, a DeSantis adviser, pulled few punches on Twitter ahead of DeSantis' suspension of Bucher. "Bucher violated court orders, polluted provisional ballots w ballots not approved by the canvassing board, failed 2 maintain equipment & even overheated elections equipment by jamming it w a paper clip," he tweeted. "Anyone else tired of being embarrassed by Palm Beach Co during elections?"